Early humans developed sophisticated hunting weapons half a million years ago, 200.000 years before researchers believed they did. As surprising as it may be, humans aren’t the only species who used spears: Western Chimpanzees have also been observed to do it, breaking straight limbs off trees, stripping them of the bark then sharpening with their teeth; orangutans have also been observed to fish with spears, but presumably after observing humans do the same thing. 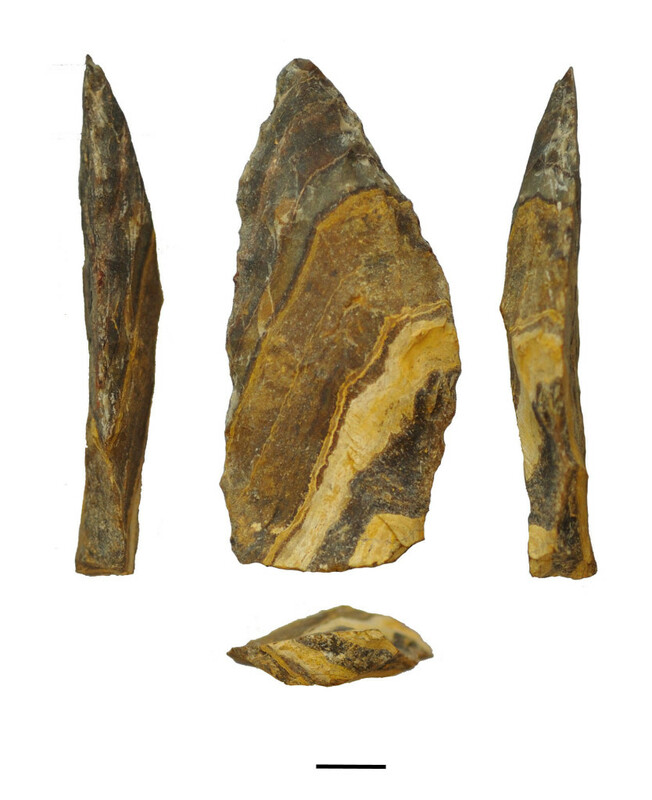 As far as humans go, both Homo sapiens (that’s us) and our closest cousins (Neanderthals) knew how to create stone-tipped spears, which leads to the conclusion that our ancestor, a species called Homo heidelbergensis had this know how and then passed it on. At 500.000 years old, these findings are quite likely to belong to this ancestor – Homo heidelbergensis lived between 600.000 and 400.000 years ago. 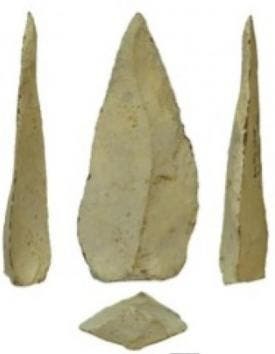 The discovery was made by researchers from Arizona State University, the University of Toronto and the University of Cape Town, working at the Kathu Pan 1 archaeological site in South Africa – they have found evidence of “hafting,” or attaching stone points to spears. Such hafted spear tips are quite common after 300.00 years ago, but this new finding pushes back the technology quite a lot. This finding, along with the bow and arrow discovery made last week goes to show our early ancestors were much more innovative then we give them credit for. Who knows what they’ll find next?